Welcome to All Wired Up Jewelry Designs by Pennee! I am so happy you are taking the time to read a little more about me and how and why I create jewelry. I make and love precious metal and gemstone jewelry. If you look at my shop and wonder why there are so many different styles, different met …als and no cohesive "line" like the big time artists have, it's because I love so many things. I love to try any and all techniques and I never met a stone I didn't adore. I do hope to express my own style and also be able to create for those who want very personalized jewelry. I love to design with color, so you will see lots of gemstone friends you recognize and maybe a few that are new to you. My stone selections come from US sellers that collect their own slabs and do their own cutting and polishing. These lapidaries are very much a part of what I do as many will custom cut a stone on request to suit my customer. 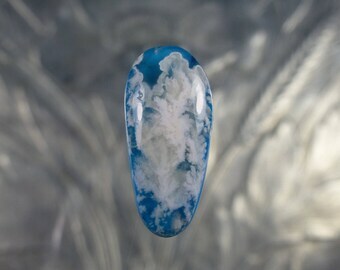 My gemstones are all ethically sourced and diamonds are from Kimberly process licensed sources only. Because of the effects of mining on our planet I use 100% recycled metals. I use only fair trade and conflict free diamonds. I select gemstones from a wholesaler who is US based and selects only the finest stones and declares any and all treatments or enhancements. If I I do use a heated or enhanced stone it will be written in the item description. For instance, a mystic topaz gemstone is heated and enhanced to make those rainbow colors. If you don't like that, I would suggest other stones. 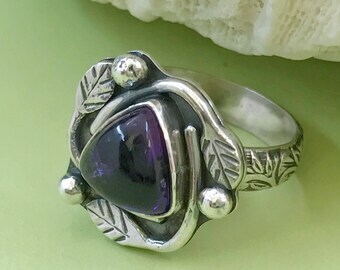 I carry lab created (stones that are identical in make up to the real thing but created in a labratory- not simulated stones) as a way to put a big beautiful ruby, sapphire or emerald ring on your finger without spending hundreds of dollars :) These stones are definitely for those mindful of effects of mining on our environment. My number one inspiration for a design concept is the colors in nature and the ancient architecture I have seen on my trips abroad. I love bright, rich hues coupled with smooth lines- bringing out the beauty in both. I offer you elegant jewelry, at affordable prices that you won't worry about wearing. I am truly happiest with my torch and hammers and some pure silver and beautiful stones in front of me just waiting to be turned into a beautiful piece of jewelry. Pennee hasn't favorited any shops... yet.